In a first-hand account, Di Maria has bared all about why he didn’t start the final against Germany. 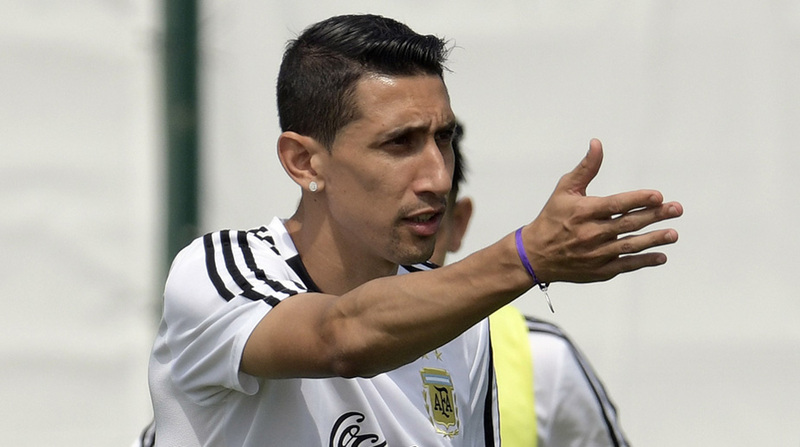 Angel Di Maria has finally lifted the lid on his absence from the 2014 World Cup final, sensationally claiming that his club at the time—Real Madrid— made a formal request that he be rested for the clash against Germany since he was carrying an injury. On the face of it, the request sounds like a genuine attempt from Los Blancos to keep one of the biggest names on their roster healthy, but in a first-hand account for The Players’ Tribune, Di Maria reveals that it was all a ploy to ensure he didn’t damage himself as the club were preparing to offload him in the summer. “I remember getting the letter from Real Madrid and tearing it up before I even opened it,” Di Maria penned. The World Cup final is the biggest match in football bar none, for it comes only once in four years and Di Maria’s revelation are damming for the Spanish giants, who have been known to be ruthless when it comes to replacing their players. Eventually, Di Maria didn’t end up playing, but he insists he made himself available for selection to then manager Alejandro Sabella, despite taking a number of pain-killing injections in the build up to the final in Brazil. Argentina would go on to miss Di Maria’s services in the final against a resolute Die Mannschaft side, with Mario Gotze scoring a memorable winner deep in extra-time to give the Europeans a narrow win and their fourth world title. The wiry winger, who had just won the UEFA Champions League with Real Madrid a month before the World Cup, would then depart for Manchester United in an ill-fated move. His miserable time in England was cut short a season later as Paris Saint-Germain came in for him in the summer of 2015. He’s settled well in the French capital but is expected to the finish his career back in his native Argentina. Speculation was rife why Di Maria didn’t even come off the bench, with the official line being that the Argentine had suffered a muscular injury and while that was true, it didn’t tell the true story about what was going on behind the scenes.